Raw Cacao Orange Brownie // Squirrel Sisters: Chocolatey deliciousness and a hint of natural orange. Cacao, Goji Berry and Pistachio Popcorn // NINAS: Chocolatey popcorn with goji berries, this sounds like a perfect combination. Pure Mylk Raw Chocolate // Raw Halo: A deliciously creamy bar made with the finest raw ingredients given a dash of lucuma powder for a subtle caramel flavour. Apple and Raspberry Fruit Jerky // Snact: This jerky blends ‘wonky fruit’ that would otherwise go to waste and also counts towards your five a day. Coconut, Cashew and Beetroot Porridge // Louola’s: Quinoa blended with beetroot, creamy cashew, sweet coconut, gluten free oats and seeds makes this porridge a perfect start to the day. 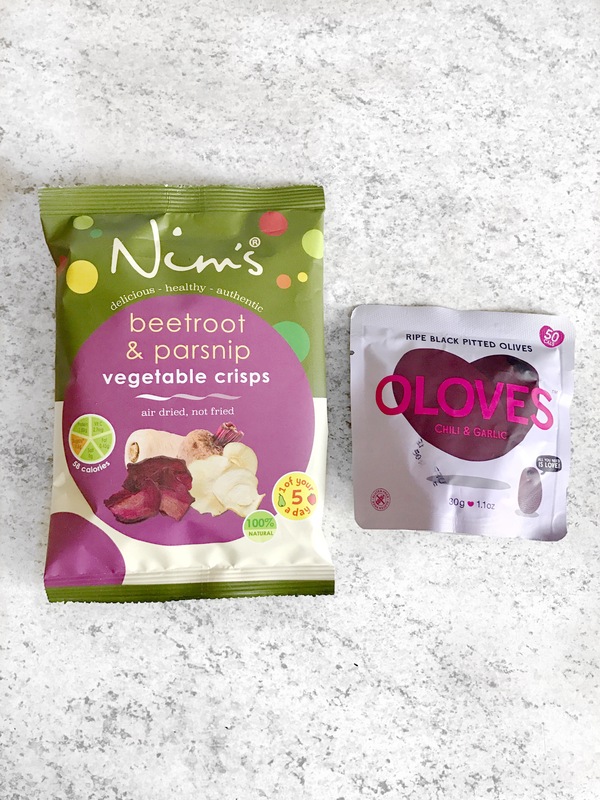 Beetroot and Parsnip Crsisps // NIM’s: Earthy delicious flavours come together to make a savoury snacking treat. Chill and Garlic Olives // OLOVES: This contains marinated black olives with a pinch of chilli and garlic to warm up your taste buds in winter. 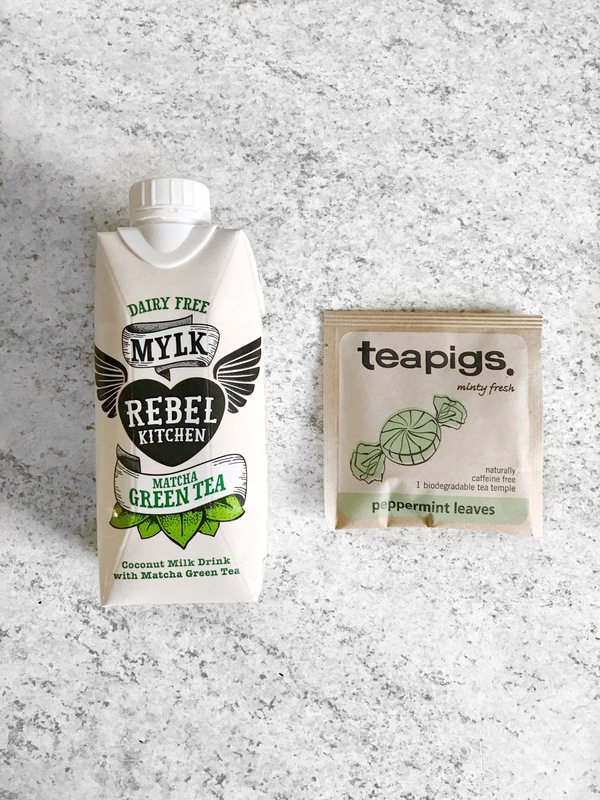 Matcha Green Tea // MYLK: This is made with a base of coconut milk, blended with pure spring water from Somerset and died with a pure matcha powder. Yet again, Source Box never fail to disappoint. 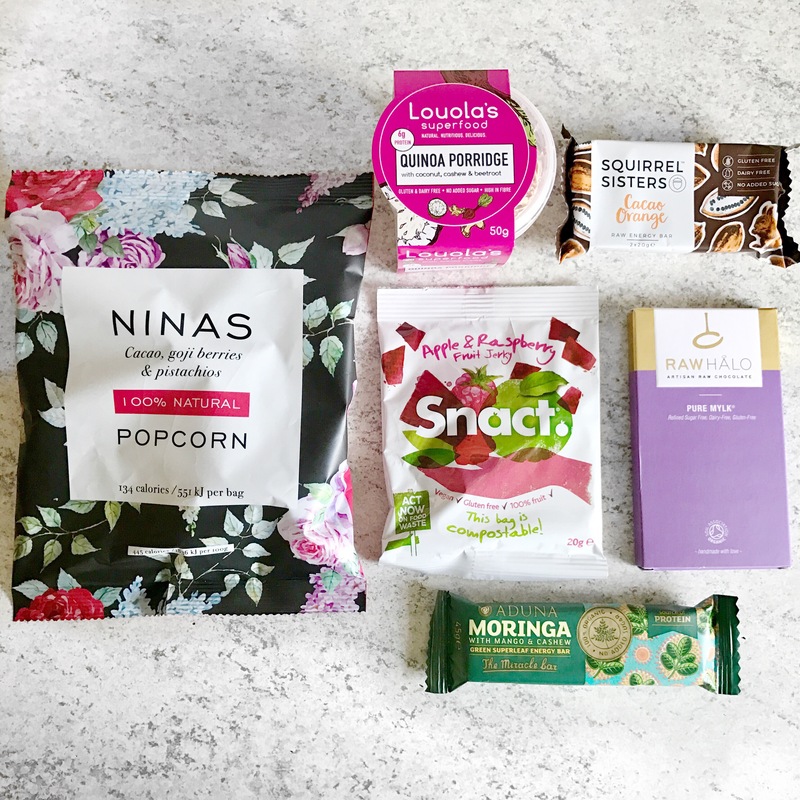 I know I always say this on every Source Box post but I’m excited to try out all of these goodies, especially the Nina’s popcorn and Matcha green tea. 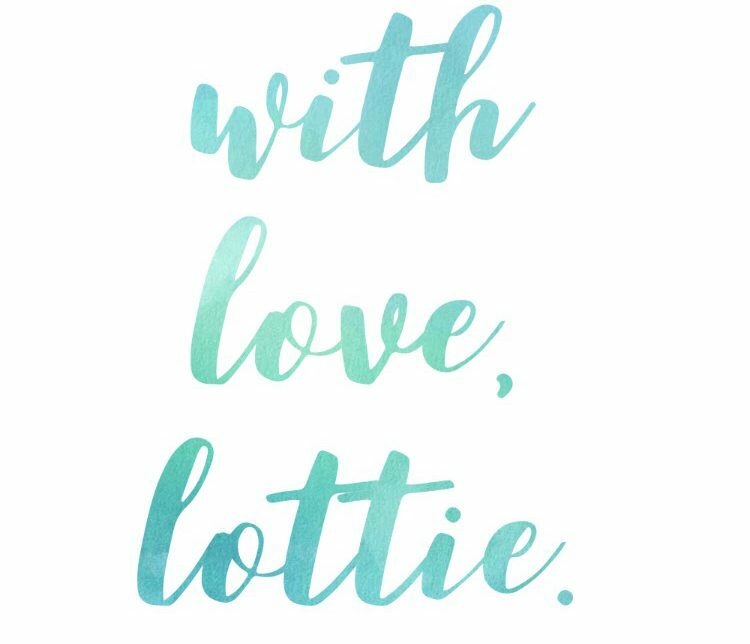 As for many people this time of year, January is a detoxifying month I will be continuing this into February as not only did Christmas lead to a bit of weight gain, I began to feel sluggish as a result. Let’s hope 2017 brings a year of health, happiness and great guilt free snacking!